Dippin' Dots is that ice cream stand they have at malls, and now they're selling cupcakes! Nickolette Tavlarides, who owns a Dippin' Dots franchise, let us know. Actually, I'm not sure if this is nationwide or just in the locations below, but the photos are yummy-looking. 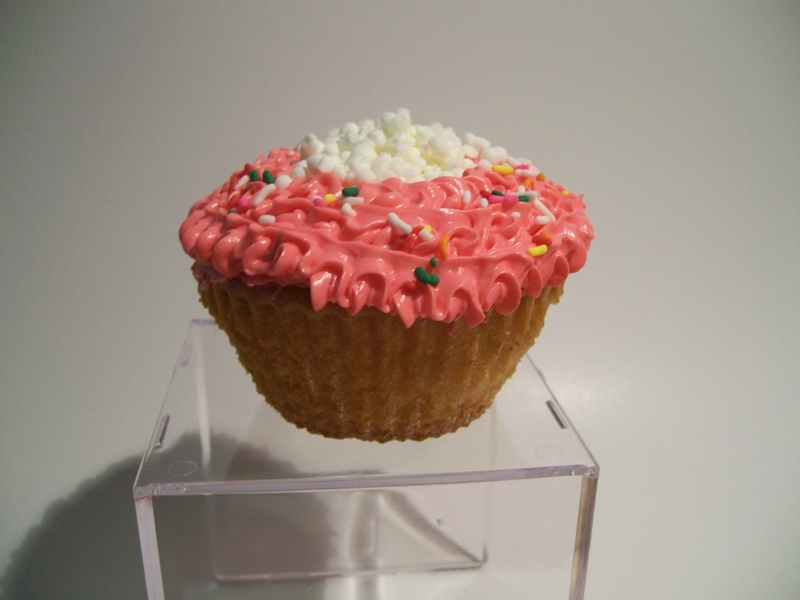 The cupcake trend is here to stay! Dippin’ Dots is proud to introduce Cupcakes and Ice Cream just in time for spring. Dippin’ Dots is launching a delectable line of cupcakes and brownies to go with your favorite Dippin’ Dots flavors. 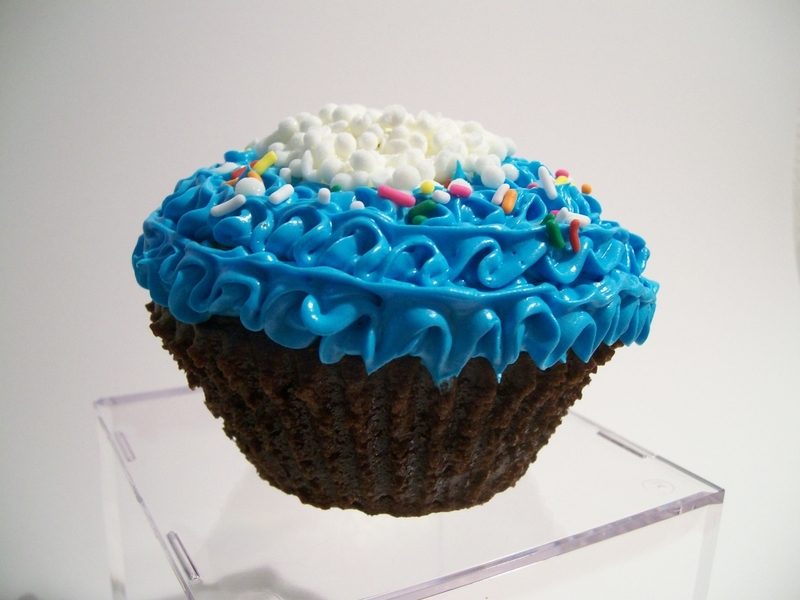 Our homemade cupcakes come in chocolate and vanilla with a variety of frosting flavors. Then we pour Dippin’ Dots run through the cupcake. Brownies are baked to ooey gooey perfection with a smooth dose of frosting topped with ice cold Dippin’ Dots. 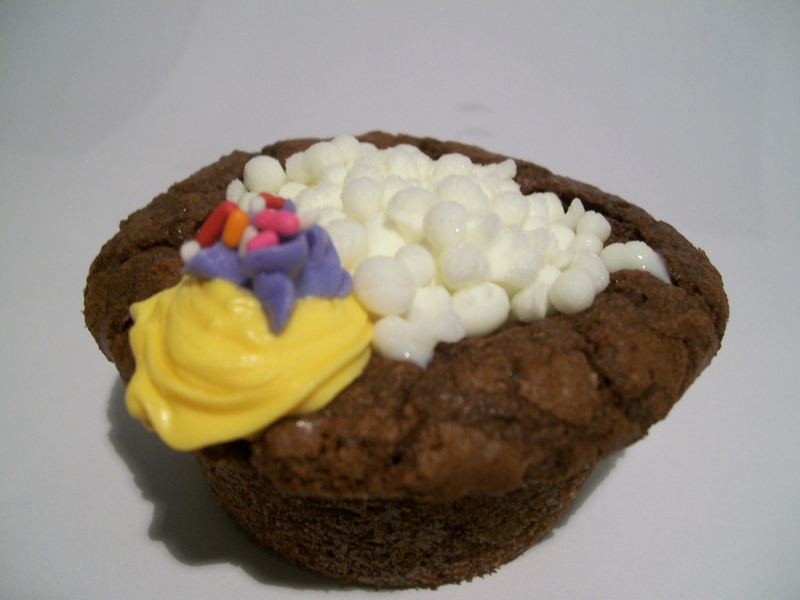 The Dippin’ Dots go all the way through the cupcake/brownie. You can’t go wrong with warm cake, silky frosting, refreshing ice cream and colorful sprinkles! Takie and Nickolette Tavlarides opened their first Dippin’ Dots franchise in the fall of 2005. After two years in business they are about to open their third retail store in the valley. Dippin’ Dots freezers are housed in various businesses around town and schools, churches and community organizations use dots for fundraising. Nickolette has always enjoyed cooking and baking for her family. She decided to combine some of her favorite Dippin’ Dots, no sugar added fudge, with a chocolate cupcake and the idea for Cupcakes and Ice Cream was born. Cupcakes and Ice Cream debut this Friday at two valley locations. Be there to sample these tasty treats! You won’t be able to get enough! Since the odds are stacked up against you, in order to beat the casino you need luck right? Skill is a form of luck that you create for yourself, which ultimately increases your odds of beating the casino. field more balanced (depending on your level of play). Think about it. This is why I switched to poker.